Tax Law is the specialized area of law that deals with the federal and state laws and regulations governing personal taxes and estate taxes, business taxes and even tax preparation. 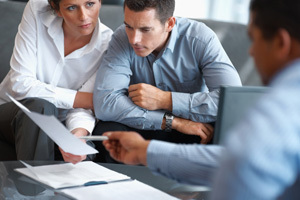 If you own a business it is essential to make sure you have a qualified tax attorney or professional accountant to help you manage your tax liabilities, to make sure you pay your taxes properly, to come up with tax strategies that will help you maximize your deductions and help you make sure you pay the minimum amount possible in taxes. There are literally 100's of different strategies and deductions a business can take advantage of in order to reduce its tax liabilities. 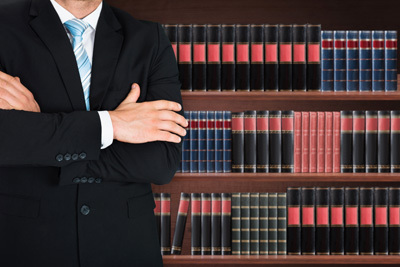 A business tax lawyer can help you take advantage of these strategies and deductions and take advantage of new strategies and deductions as the tax laws change. Businesses may take deductions for the ordinary and necessary costs related to operating the business. Costs such as rent, advertising, utilities, office supplies, and other expenses can be deducted. When you use your vehicle in your business or your business owns a vehicle you can deduct some of the costs of operating it. The two ways of figuring the vehicle expenses are the Actual Expense and Standard Mileage Rate methods. When using the Actual method you deduct all the actual business-related expenses from driving the vehicle. This method provides a larger deduction and also allows you to deduct for the depreciation of the vehicle. The type of vehicle you own could result in a larger deduction. When using the Standard Mileage method, you keep track of each mile driven, plus any tolls and parking fees and these can be deducted. If the equipment is leased you can deduct the expense of the lease, but if the equipment is owned rather than leased, the depreciation can be taken as a deduction over the life of the equipment. Professional fees you pay in the process of operating your business can be deducted. These include lawyers, accountants, consultants or any other professional you pay to provide you a service. These are just a few of the many deductions available to your business at tax time. We will be glad to sit down with you and point out how we can develop strategies and deductions that will lower your businesses tax liability. Everybody wants to pay only what they really owe in taxes and wants to make sure they take advantage of every strategy, break and deduction available to them at tax time. Another big issue is estate planning and making sure your estate is taken care of and your loved ones pay as little as possible in estate and future income taxes. One of the most important things you must do to protect yourself, your assets and your loved ones if you become disabled or after you are gone, is to make sure you have a properly-structured, complete estate plan in place. We can help you in every step of the way and make sure your estate is completely protected and you have a proper estate plan in place. A big concern to many people is how to keep their beneficiaries from having to pay what are commonly referred to as “Death Taxes”. When you leave behind an estate, the amount of taxes your heirs will have to pay on what you bequeath to them depends upon the size of your estate and how your estate plan was set up. Many states have their own laws regarding this, so it is essential that you have a qualified Tax Attorney help you set up your estate plan. There are many strategies you can implement that will help you to greatly reduce and even eliminate the death taxes your loved ones will have to pay, but often you must start these plans very early to take advantage of them. Michigan Lawyers & Attorneys is here to help you plan your estate so as to reduce or even eliminate death taxes on your estate. The death taxes on your estate come from both federal estate taxes and possibly by state estate taxes, and both of these can be managed and reduced or eliminated by a qualified tax attorney. Your federal estate taxes are computed as a percentage of the total fair market value of all of your assets, minus certain deductions such as debts you owed, funeral-related expenses and charitable giving. As of the year 2015, federal estate taxes will be computed only on estates valued at over $5,430,000, with anything over that subject to federal estate tax. Even if your estate is not subject to federal estate taxes, it may still be subject to state estate taxes, so you must make sure you have a qualified tax attorney look over your estate plan. In addition to estate taxes, careful planning is necessary to reduce the capital gain on the eventual sale of your property. As your estate grows and the value of your assets increase, your tax liabilities may change and you will want to go over your estate plan with your tax attorney on a somewhat regular basis to keep up with changes in tax laws and your own personal situation. Please feel free to contact us today, so we can help give you the peace of mind that comes with knowing you have Michigan Lawyers & Attorneys representing and protecting your assets and making sure your tax liabilities are taken care of. Will Spouse's Tax Problems Affect Me? Purchase Land By Paying Its Taxes?